Reik are an award-winning, platinum-selling Latin pop trio recognised throughout the continent for their romantic ballads and emotive pop-focused songwriting. Their Latin Grammy award-winning albums ‘Un Dia Mas’, ‘Peligro’ and ‘Des/Amor’ have sold millions across the world and earned them international success. First turning heads in 2003 after releasing Mexican underground club standards “Levemente” and “Ahora sin Ti”, Reik then signed to Sony Music and began work on their self-titled debut. The album found phenomenal success, generating three Mexican chart-toppers: “Yo Quisiera,” “Que Vida la Mia,” and “Noviembre sin Ti.” These three singles crossed over to the U.S. Latin pop charts, earning the trio a Latin Grammy nomination in the Best New Artist category. 2008’s ‘Un Dia Mas’ reached the Top Ten Latin Albums chart and proved popular across Latin America, leading to a Latin Grammy Award for Best Pop Album by a Duo or Group with Vocals in 2009 and successful North and South American tours. The follow-up, ‘Peligro’, netted five charting singles and received platinum certification in Mexico, prompting an extended international tour. 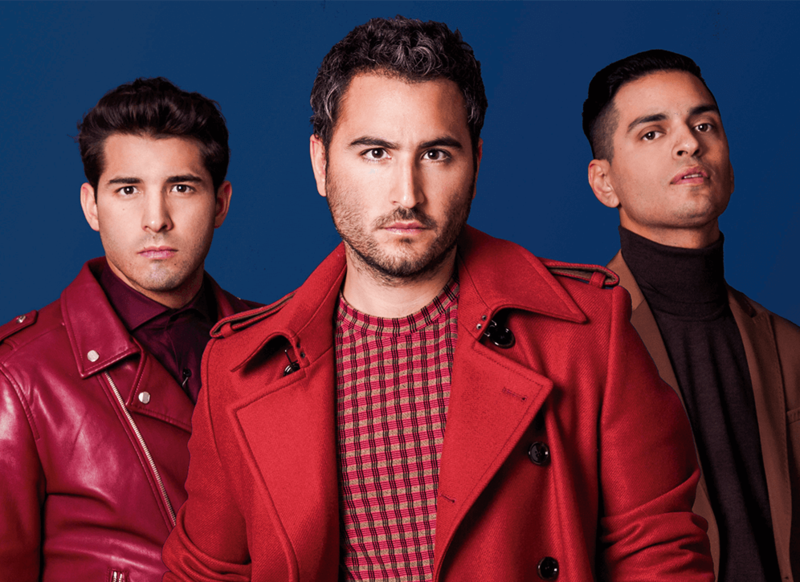 Five years later, Reik returned with an updated contemporary sound and the new studio album ‘Des/Amor’, hitting lofty positions in streaming and digital charts on all major platforms. 2018 has seen the sensational group collaborate with fellow Latin notables Ozuna and Wisin for the captivating single ‘Mi Niego’, putting these exceptionally talented musicians back into the pop spotlight once again.